Oh, how much time and effort do we put into buying shoes! The process of finding a perfect pair is a long, and usually costly one! So, what happens once the winter comes and we have to put away that perfect pair of sandals? Or the opposite happens, the summer finally arrives and now you are left with your winter boots and moccasins. Finally, it could be that you have decided to move and now you have to put away your shoes in a safe place. How do you approach storing shoes in the right way? How do you manage not to damage that expensive pair of leather boots? That’s something we, as experienced NYC movers with plenty of knowledge of packing of all kinds know. And we don’t mind sharing our knowledge, so stay tuned! Every pair of shoes tells a different story. 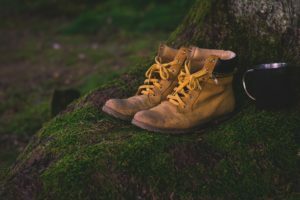 In order to wear them and look your best, you would naturally first clean your shoes of all the dust and dirt. Why do you think it would be any different now that you have to store them? Whether you decide to put them in the back of your closet or in long term storage NYC doesn’t matter. What matters is that you, most likely, won’t be accessing them any time soon. At least until the hot summer days come again and you once again have a reason to wear your all-time favorite flip flops. Just be careful. The same cleaning procedure doesn’t apply to leather and other materials. If you are a layman in the area of storage solutions, you probably don’t know what climate-controlled storage is. Nor do you know the benefits of using such a unit. 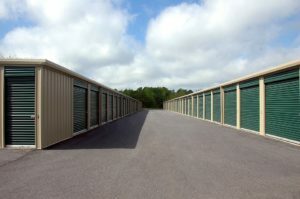 You are probably not even aware of the different types of storage units nor what kind of a storage company you should use. But, the benefits of doing this can be greater than you can imagine. For starters, this type of unit regulates the temperature inside. It’s a known fact that some items and materials are prone to damage when exposed to extreme heat or chilling temperatures. As you can see, you won’t be having this problem with a climate-controlled storage unit. If you don’t plan on using them soon, put your shoes in a climate-controlled storage unit. Besides, when the temperature is optimal, it promises that there won’t be any humidity. And humidity is the enemy of much more than just your hair. So, if you take the trouble of finding and investing in one, you will be greatly rewarded for making such a decision! Let’s say you didn’t opt for renting a storage unit. We completely understand your decision, as there are plenty of other ways to manage to store your shoes from the comfort of your home. All you need is the right container for storing shoes, and then you will know whether to hit plastic bin rental NYC or a hardware store. Take a look at your options! Nothing will be better and more optimal than the original packaging. The box your pair of shoes came in is already tailored to that particular model, so why mess with a good thing? In case you didn’t save the original box, you can always use a substitute. You can also use old wine boxes or a similar alternative, with one precaution in mind – don’t use a box that is too big. Your shoes should be snuggled in comfortably. Use a shoe rack for storing shoes. Isn’t it pretty obvious that a shoe rack is one of the best ways to store your shoes? All you have to do is find a good place in the house. The idea is not for this solution to bother and impair your daily functionality. Quite the contrary, just put it out of sight, and make sure it’s someplace dark. Exposure to direct sunlight won’t do any good for your beloved accessories. Ever heard of door-hanging shoe bags? Well, if you haven’t, it’s the right time to find out! Door-hanging shoe bags are double trouble – they are functional as well as cheap and easily attainable. You get to keep your shoes off the floor and you can still access them whenever needed. Isn’t that one of the best spring cleaning tips to hear recently? Have you ever wondered what is the purpose of those small bags you get when buying shoes? Well, their purpose is a very simple one – to keep your shoes safe and free of any damage. Silica gel removes dampness and thus keeps shoes that are prone to humidity change safe. But, while they are great for this purpose, they have one tiny drawback – they are small. People with pets and toddlers should be extra careful, as they could ingest them the moment you turn your head. Keep a close watch on your little buddy when using silica gel. 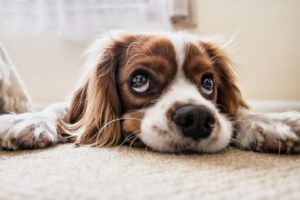 As if people that are moving with pets and/or kids didn’t have enough on their plate, (we are talking about hiring pet moving services NYC, getting a babysitter for your baby, preparing them, etc.) now they have to deal with this pesky little problem. But every cloud has a silver lining, and you should just remember that soon, it will all be over. Storing shoes is not so difficult, is it? It all boils down to finding the right space and being smart about storing them. And when we say smart we do mean careful. Just make sure your shoes are stored in a dry, dark and climate-controlled place, and you can’t make a mistake. Who said that storing shoes will give you headaches? Not when you have Capital City Movers NYC on your team!